Gone are the days of metal fixed braces as the only tooth correction solution. The orthocaps> TwinAligner system is a discreet, transparent and removable appliance that effectively and painlessly corrects tooth malpositions. Orthocaps also adapts to your lifestyle with two different aligners for either day or night. This allows for better movement control and more precise regulation of the forces used. During the day, the discreet DAYcaps act gently, and at night the more rigid NIGHTcaps provide stronger correction. 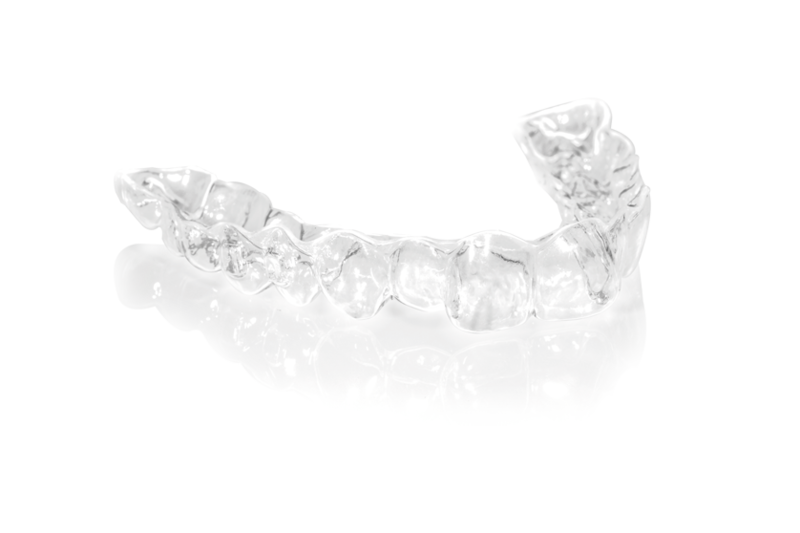 IN ANY CASE: Unlike other systems, the orthocaps aligners are made of a high-quality thermoplastic dual component material. The outer layer is slightly harder to protect it against damage. The soft inner layer gently adheres to your teeth and guarantees maximum comfort and precise tooth movements. Aesthetic and effective at the same time? Invisible, comfortable and 100% effective, every day. The orthocaps TwinAligner system does not have much in common with traditional orthodontic treatments but has many more advantages to offer. See for yourself! The unique, thermoplastic material allows for precise tooth movements and guarantees visible results. The two different aligner types allow for optimal adjustment of the forces acting on the tooth. The result is painless tooth correction. Rigid tooth aligners can cause unpleasant pressure points. With the orthocaps Aligner, the use of soft plastics ensures maximum comfort. Removable, discreet and easy to clean, the orthocaps TwinAligner system is made for daily use. The orthocaps aligners are custom-made for each treatment phase! This means they fit like a glove and can even be adjusted on request. Better than other correction systems? The advantages of the orthocaps TwinAligner system are obvious when compared with other orthodontic systems. Please note that this comparison does not include systems that provide aligners directly to patients. Such systems do not meet the quality treatment standards and can not offer treatment modalities that can be regarded as acceptable in orthodontics. Clear, practically invisible Yes Not as clear as Orthocaps Metal brackets and wires are visible. Comfortable, dual-component thermoplastic material Yes No Adjustments to metal braces are sometimes painful. Daily use is uncomfortable.